We are releasing a new version of .Net Report Builder today with a new feature that has been requested by many users. 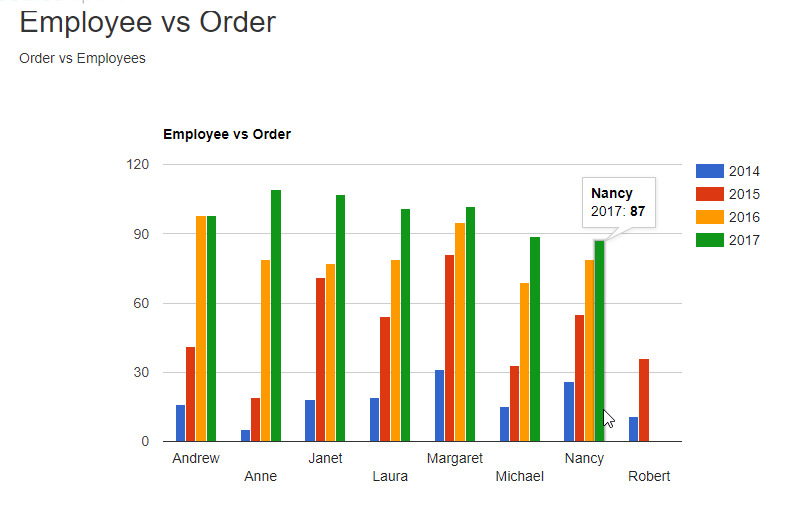 For Bar Graphs, .Net Report Builder previously did not have the ability to show Sub Group on the Chart. So for example, when a user created a Bar Report, the First Value is expected to show on the X-Axis and all the numeric values would be plotted on the Y-Axis. If there were any other date or string columns selected, the user would see a message clearly stating that it will not show in the Chart. 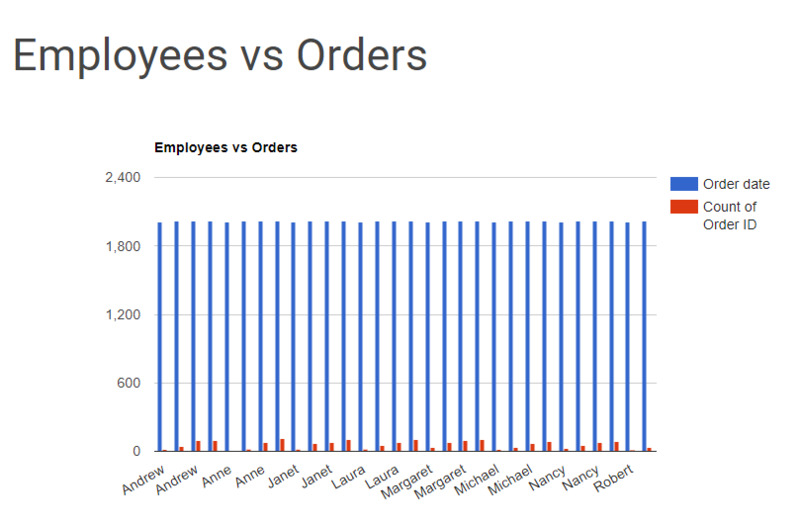 So even though the data was being grouped by the field, it did not reflect properly on the Chart. This is not a good reflection of the data. This issue is now resolved with a new feature for Sub Groups, where user can now choose to "Include it in the Series". Please provide any feedback on this new feature in the Comments.